It has been another fun month of reading around here! I seriously cannot stop sharing all the amazing library finds we have been collecting recently. These Montessori friendly titles have been wonderful and I would happily recommend them all! 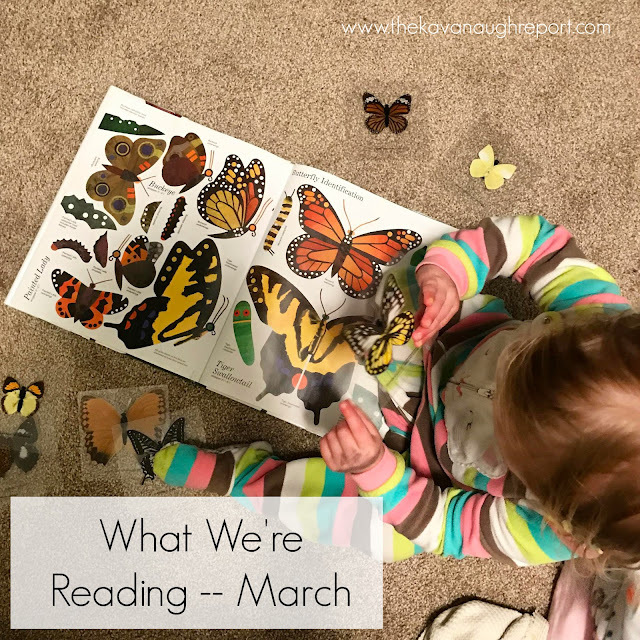 Without further ado, here's what we're reading in March. My favorite for the month was hands down All the World. Such a sweet book. Nora's favorite was Spring for Sophie which she has been repeating lines from all month. Henry's favorite was They All Saw a Cat (followed closely by Lenny & Lucy). Augustus enjoyed looking at Black Cat & White Cat! 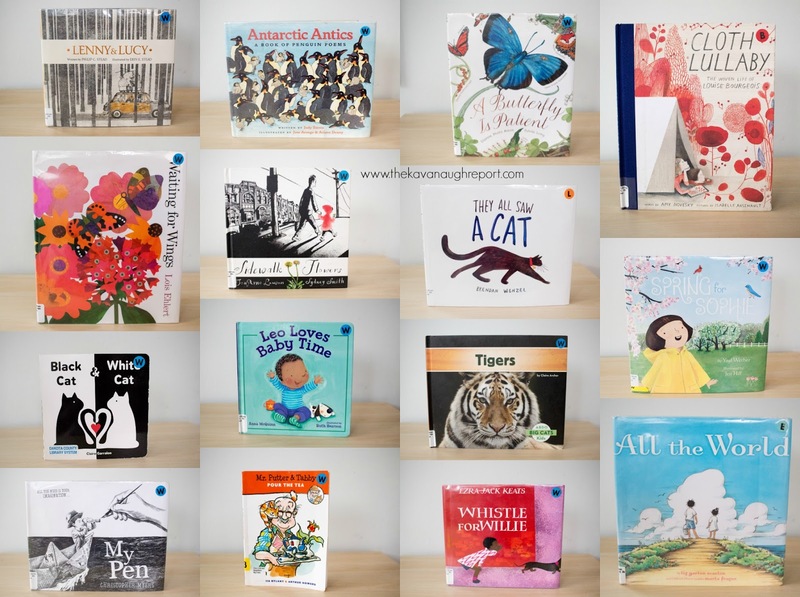 Looking for other Montessori Friendly Book Recommendations? Check out our NEW Book Page! What books have you been enjoying this month?! Thank you for sharing these! I'm not familiar with Cloth Lullaby, but it looks beautiful, I want to look for that one at our library. I have an unrelated question for you - do you have any experience traveling with children used to a floor bed? We have a bunch of travel coming up and I'm not sure what to do, as I don't necessarily want our little guy crawling all over (i.e. licking...) a hotel room floor. I feel like if he slept in our bed though, he might crawl over us and fall? Thanks for any advice!! Cloth Lulaby is a great book, but for an older crowd, like 6+! As far as floor bed goes, we have always just used a pack 'n play when we travel, so I'm sorry that's probably not helpful if your avoiding containers. That is still helpful, thank you! I'm definitely not against using a pack 'n play when we travel, I just wasn't sure he'd go for it since he's not used to sleeping contained like that - I guess we'll just try it and see. Thanks!! Thank you so much for this, and so many other wonderful posts! You have created such a lovely home for your children and given us inspiration to do the same. We are so grateful!!!! !